Photo Caption: My new Malawi Cichlid Tank with a large corner 3D DIY Cave, Crushed coral base, Lime stone rocks, Drift wood and various plants. This picture has been rated : 106 times. Description: I have an Aqua One Regal 100, with an Aquis CF1200 external filter and twin interpet T5 lighting - one moon blue and one tri plus, The cave in the corner i built myself carving polystyrene and coating in cement. The cave hides the inlet pipe for the filter and a 300W Heater. 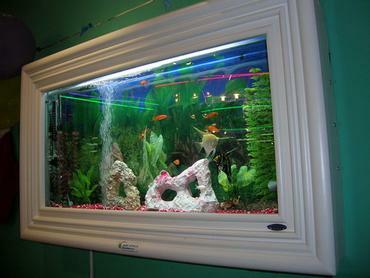 Advice: Be creative and give the fish an interesting environment to live in. 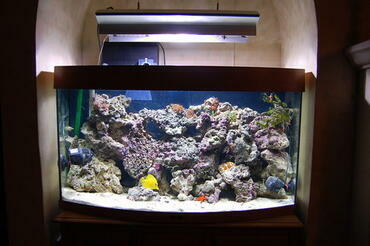 Fish Kept: I have recently changed my setup from tropical fish to a variety malawi cichlids. 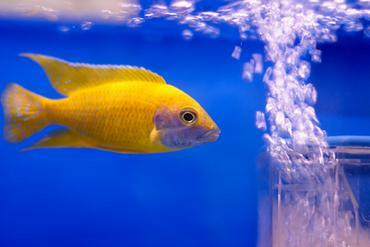 Corals/Plants: Trying out various plants to see which are best with cichlids.